wildflowers, originally uploaded by jahansell. 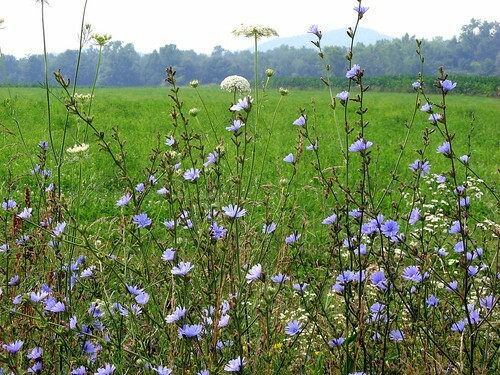 Cornflowers and Queen Anne's Lace - with a cornfield beyond. Hot hazy humid day! Beautiful. Do you know what kind of flowers those are? uh, cornflowers and queen anne's lace - like the post says! LOL! I love wildflowers and these cornflowers are just beautiful. It's the blue that remimds me of Provence, France my favourite place so for me this is just wonderful.